De mänskliga rättigheterna – Lær mer! De mänskliga rättigheterna gäller för alla och envar. De slår fast att alla människor är födda fria och lika - i värde och rättigheter. De är universella - gäller över hela världen, oavsett land, kultur eller sammanhang. Les ny uppdaterad upplaga av informationsskrift FN:s konventioner om mänskliga rättigheter. Informationsskriften innehåller de svenska översättningarna av FN:s allmänna förklaring om de mänskliga rättigheterna och de sju centrala FN-konventionerna och deras fakultativa protokoll på området. Mer information om mänskliga rättigheter finns på www.manskligarattigheter.se och på FN:s högkommissaries webbplats. What are the benefits and risks of social media? What is the purpose of a social media policy? Social media are an increasingly popular and growing area. As such, The Law Society belives that it is important for the profession to keep up-to-date with developments in social media. Social media present real opportunities if harnessed effectively. The purpose of the Law Societys practice note about Social Media is to facilitate an understanding of social media in the profession and provide guidance to individuals and practices engaged in social media activity.They represent the Law Society's view of good practice. Althoug these practice notes are issued for the use and benefit of its members, they may be of interest for other professionals as well. We write to you on behalf of the Council of Bars and Law Societies of Europe (CCBE) and the American Bar Association (ABA) to convey our growing concern about disturbing trends affecting the independence of the legal profession. An independent legal profession is a critical component of a well-functioning judiciary and is the keystone of a democratic society based on the rule of law. Pressure to undermine the independence of the legal profession is not only a matter of concern to lawyers and judges, but to people everywhere as this independence is critical to the fair and equal protection of human rights, the development of healthy economies, and the facilitation of political stability. The CCBE is the representative organization of around 1 million European lawyers through its member bars and law societies from 31 full member countries, and 11 further associate and observer countries. 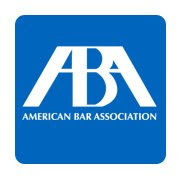 The ABA is the world’s largest voluntary professional organization, with a membership of almost 400,000 lawyers (including a broad cross-section of attorneys), judges, and law students worldwide. The ABA continuously works to improve the American system of justice and to advance the rule of law in the world. We have followed with great concern over the past year the developments that have taken place in a number of European countries - Greece, Ireland and Portugal - where the economic crisis and the intervention of the Troika have led Governments to propose radical reforms of the legal profession. We are aware of the difficult times that countries are facing, and also of the need for reforms. Bars and Law Societies around the world have always been open to reform: they follow very closely societal, economic and any other changes within their own countries and worldwide, evaluate the impact of these changes on the profession and take the necessary steps to adapt. The current developments, however, go beyond what we would consider proportionate and necessary reforms, and they also raise fundamental questions of compliance with international norms. The proposed reforms are plainly inconsistent with the Core Principles of the Legal Profession - as reflected in the CCBE Charter of Core Principles and as adopted by the ABA House of Delegates in 2006 - that commits the legal profession to "An independent legal profession, without which there is no rule of law or freedom for the people." In response to the Troika requests, the Irish Government, for instance, approved the publication on 4 October 2011 of a new Legal Services Regulation Bill. The Bill provides for far-reaching changes and reforms which are unprecedented in Europe and the United States. Most importantly, it calls for the establishment of an Independent Regulator - the Regulator will consist of 11 members: 7 non-lawyers, 2 representatives from the Bar Council and 2 representatives from the Law Society. All 11 representatives will be appointed by the Irish Minister for Justice, Equality and Defense. The Government may also at any time remove a member if the member’s approval appears to be necessary for the effective performance of the functions of the Authority. The new Authority will have all powers of regulation including conduct, discipline and complaints handling. In our view, the establishment of the Regulator will be in clear breach of one of the core principles of the legal profession: regulation independent from the executive branch of the state - a principle recognised in Europe, the United States, and internationally. It is the cornerstone of any democratic society based on the rule of law and also necessary for the sound administration of justice. We are convinced that without a guarantee of independence - which is fundamental to the profession - it is impossible for lawyers to fulfill their professional and legal role. Self-regulation is characteristic for the legal profession in Europe. No country has total and unrestricted self-regulation of the legal profession. However, there is in all European countries that are members of the CCBE a significant extent of self-regulation. In the United States, there is in general regulation by the courts, which similarly satisfies the principle of independence from executive regulation. We believe that independent regulation, conceptually, must be seen as a logical and natural consequence of the independence of the profession. It addresses the collective independence of the members of the legal profession and is nothing less than a structural defense of the independence of the individual lawyer, which requires a lawyer to be free from improper influence, especially such as may arise from his/her personal interests or external pressure (including government pressure). Important developments are also taking place in Greece and Portugal that have caused concern. Although we still need to analyze all these proposals thoroughly and in detail (and we are expecting further information from the Bars and Law Societies affected), we are concerned that initiatives are being taken based on a purely economic approach. We are of the impression that these proposals have been developed within a few weeks without taking account of the purpose/justification of professional regulation and without analyzing the impact of such proposals on the administration of justice. We are seriously concerned that all these developments will lead to an erosion of the administration of justice. They will not only affect the structure of the legal profession and the lawyer’s role in society, but most importantly will be to the detriment of all people who are in need of a lawyer. Your own experience as a partner in a multinational law firm no doubt carried important lessons regarding the need for protection of the lawyer-client relationship against intrusion by the state and for safeguarding the independence of a lawyer’s decision making to protect the rights and liberties of even unpopular clients and causes. We urge you to pass on our concerns to the relevant people within the International Monetary Fund, and within the Troika more generally, so that these considerations can be taken into account in further negotiations with the relevant countries. We would be very interested in having an opportunity to discuss these issues in person with you or your staff. Denmark has taken over the rotating presidency of the Council of the European Union. WSJ law reporter Ashby Jones stops on Mean Street to discuss the SEC's suit brought against former Fannie Mae and Freddie Mac chief executives. Is Trump Invoking Executive Privilege Or Not? - Invoke the privilege to prevent Don McGahn from testifying, which won't prevent him from testifying, or GTFO.